It is still unclear how the fatal accident occurred; however, a senior police source had previously told our newsroom that the focus of the investigation is on the vehicle and whether a mechanical failure had a part to play. 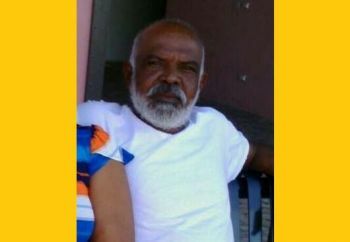 Mr Ramtool, a truck driver, was well known on Jost van Dyke and, according to residents there, was instrumental during the cleanup phase following hurricanes Irma and Maria. Meanwhile, a family member of Mr Ramtool told this news site that they are still awaiting a police report on the accident as well as the cause of death, since an autopsy has not yet been performed. The family is also planning a viewing of the body here in the VI but will then take it back to Trinidad and Tobago. Dates for both have not been set due to the body not yet released to the family. A 61-year-old Trinidad national lost his life in a lone vehicle accident this afternoon, February 7, 2018 on the sister island of Jost van Dyke. Details of the accident are sketchy at this time but this news site was told the incident occurred around 4:15 P.M. It is being reported that the man was driving a truck downhill when it may have developed a mechanical problem and the driver jumped out of the moving vehicle. It is unclear if the now deceased was run over by the vehicle; however, a senior police source has said the focus of investigation is on the vehicle and whether a mechanical failure has had a part to play. Virgin Islands News Online has the name of the deceased but will not release it at this time. “Police are confirming the death of a male following a lone-vehicle traffic collision on the island of Jost van Dyke this afternoon. The collision took place on the road that leads to the island's dumpsite. Cause of the accident is now being investigated. 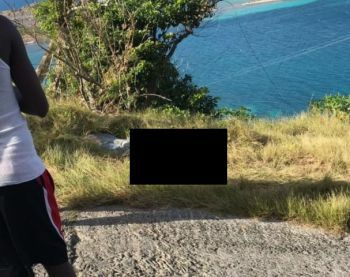 No further details can be given at this time,” The Royal Virgin Islands Police Force (RVIPF) stated in a press release this afternoon. Don't feel sorry for the dead...feel sorry for the living who playing with God! This’s is so very sad. Sympathies to his family. R.I.P my country man and condolences to his family and friends. Thank you for your kind words,we the family of ramtool aprishate it. It's heart wrenching my father died like this,but is only him and God knows. It's very difficult for me to process his death. Tortola needs to get strict with business especially those that use heavy equipment and dump trucks. Those dump trucks are so old and in no condition for some jobs especially the hills and some owners dont care since them ain't the one driving them. My condolences to the family. Rest in eternal peace my dear fellow countryman. Always funny and happy. I own 2 trucks,Some of you all just like to come on here and talk carp,eney thing could happen this man make them,,this man who dose drive them,,You think the trucks or truck dose drive it self?? Some of you all just like to run you all mouths like a river,,Some of you all don't own a power wheel some of you all just like gasoline want to be in every Bordy vehicles just like diesel want to be in every TRUCKS in the VI..
To this day my father's body is still in Tortola, at the funeral home, it's 41days today, and my father's body isn't laid to rest.how can we find closure. God help us it's a very difficult time for our family..